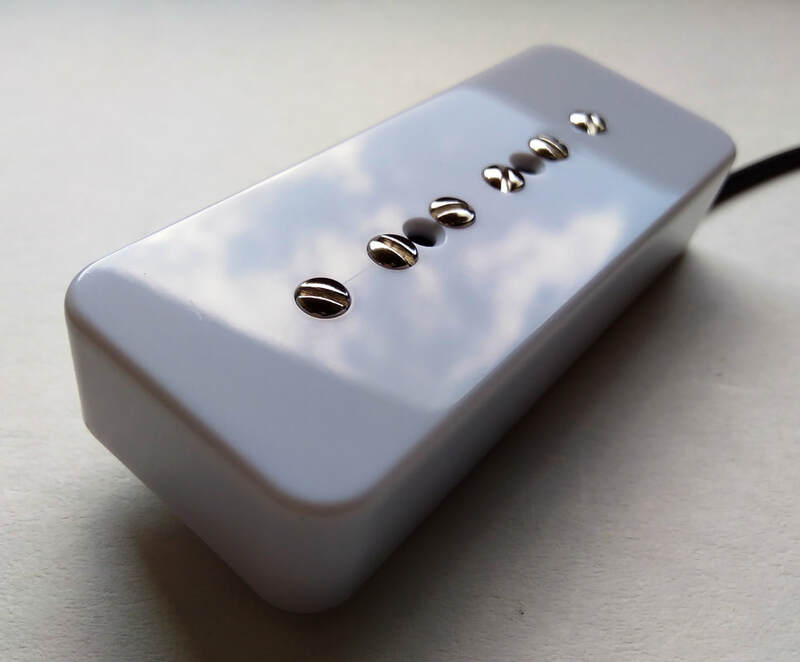 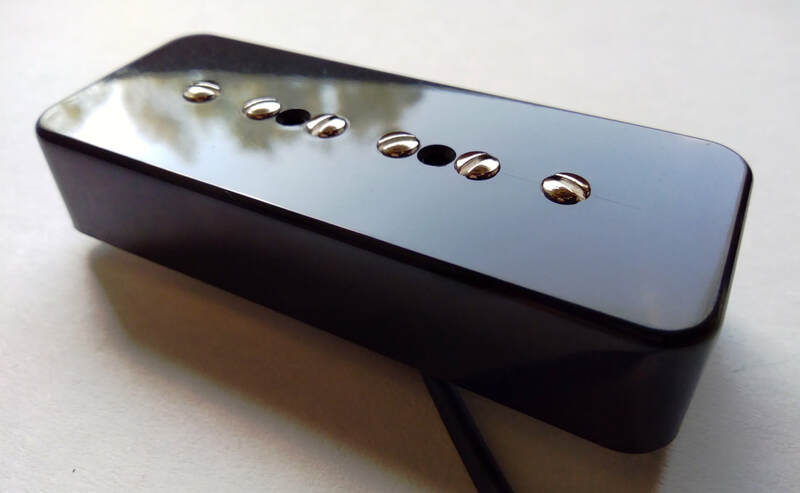 Fairly high output P90 pickup with big tight low end, thick midrange and strong highs. The set uses Alnico 5 bar magnets degaussed to specific strength. 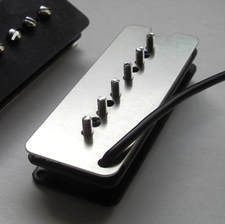 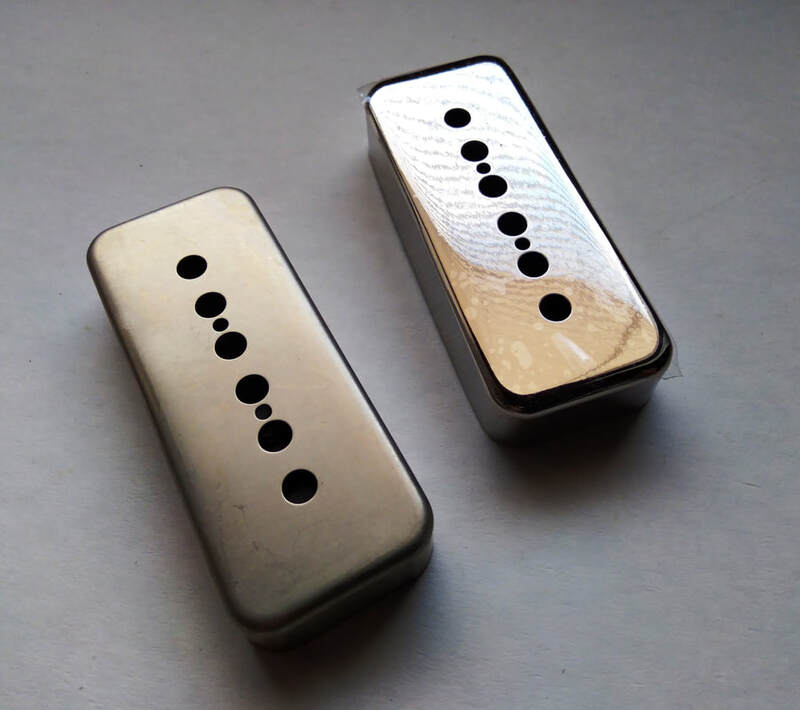 (fully gaussed on request) The pickup is hand wound scattered with Plain Enamel 42 magnet wire. -Pole piece spacing available: 49.2 mm (1-15/16"), 50 mm, 52 mm and 54 mm. 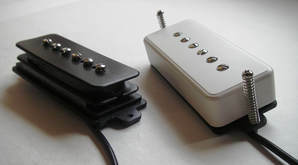 ​The pickup is also available with pickquard mounting. 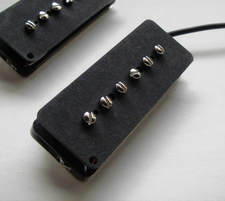 Check the pic on the left.